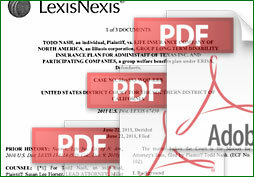 Read through a few of our many published cases to see examples of our results. My family has been trusting them with all our finances for decades. From our trust documents to retirement investments, they have taken good care of us. We can’t recommend them highly enough. Estate and gift taxes are levied by the federal government on the transfer of property from one person to another, either at the time of death ( estate tax) or while the donor of the property is still living (gift tax). The goal of tax planning is to minimize tax liability from all types of taxes, including income taxes, while maximizing an individual’s eligibility to contribute to retirement plans. Tax planning is a very important feature of any financial plan. Tax controversy involves disputes between the tax authority (such as the IRS and FTB) and taxpayers that can arise from an audit. Assistance with audits and negotiating settlements of the disputed income are examples of tax controversy legal services. Property tax is a tax that is assessed on “real property”, which includes land, buildings, or other immovable improvements to the land which increase the value of the real estate. Some of the organizations to which we belong. © Copyright 2006 - 2018 Miller, Monson, Peshel, Polacek & Hoshaw . All Rights Reserved.